Congratulations to RadLaunch winners, our class of 2018. 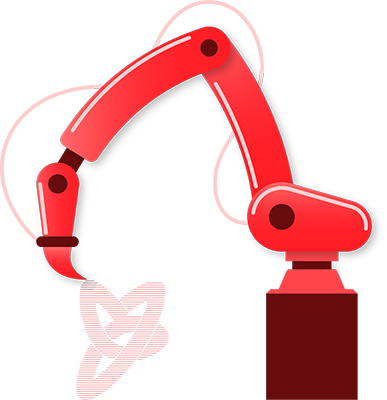 Trio Labs: Rapid UV 3D printing to create metal and ceramic parts with the same characteristics achieved through standard powder injection molding (PIM) processes. 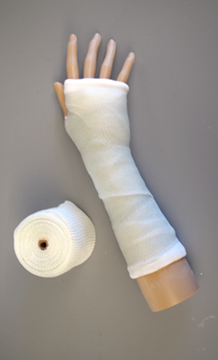 Reboot Medical, Inc.: PhotoCast Casting Tape, light-cured composite tape that hardens on-demand, producing a rigid splint or cast. Team from The Hebrew University of Jerusalem: Nanocrystal photocatalysts which fill an unmet need for efficient water-soluble photoinitiators for coatings and 2&3D printing. moi composites: for a new, patented process that merges the performances of thermosetting composite materials with the potentialities of Additive Manufacturing opening the world of advance composites to features today unimaginable. The Foam Printing Project: Lightweight parts from resin that is foamed using a patent-pending process and solidified using a UV DLP 3D printer, parts have up to 75% gas fractions, are lighter weight and less expensive to produce. Dynamic Matter LLC: UV curable thermosetting polymer that can be remolded, relax stress, or repurposed following polymerization for use in optical applications and composites to reduce shrinkage and environmental stresses. 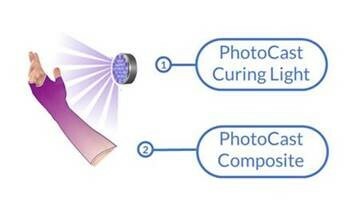 Team from the University of Iowa: Transferrable Shadow Cure (TSC) decouples initiation and propagation mechanisms in cationic photopolymerization to address light penetration problems, thus providing full cure regardless of geometry, pigment and filler content, and sensitivity of material to light and heat.